A mortgage, also known as mortgage loan or home loan, is a loan intended to purchase a property, usually a house. In a mortgage note templates & examples, the borrower is allowed to lend a certain amount of money from a lending company (e.g. bank) and the property he/she purchases with the money serves as a collateral. In a mortgage loan note, the borrower is required to pay back the amount during a certain period of time while following a set of conditions. If these conditions are not met by the borrower, or if he/she simply stops paying, the lending company may practice its right to claim the property in foreclosure. In this case, the lender may issue a briefing note to inform the borrower of the foreclosure. 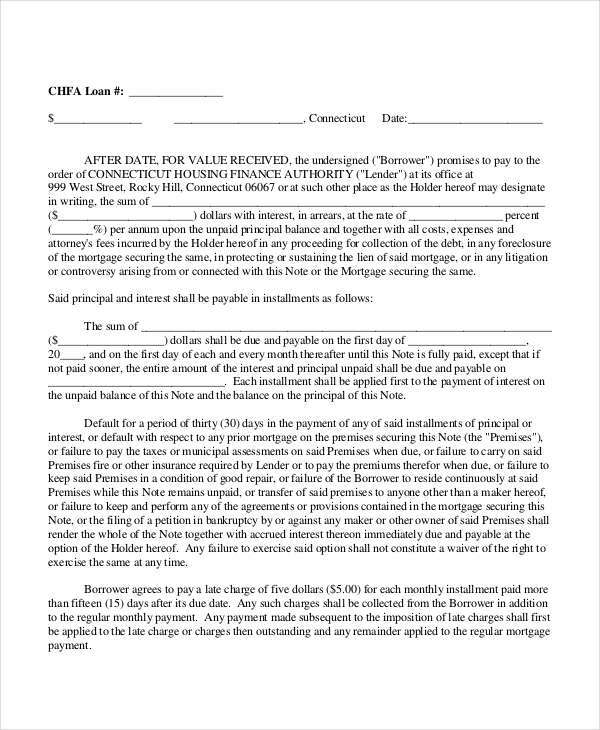 Upon processing a mortgage, both the lending company and the borrower sign a legal document of agreement known as a mortgage note. 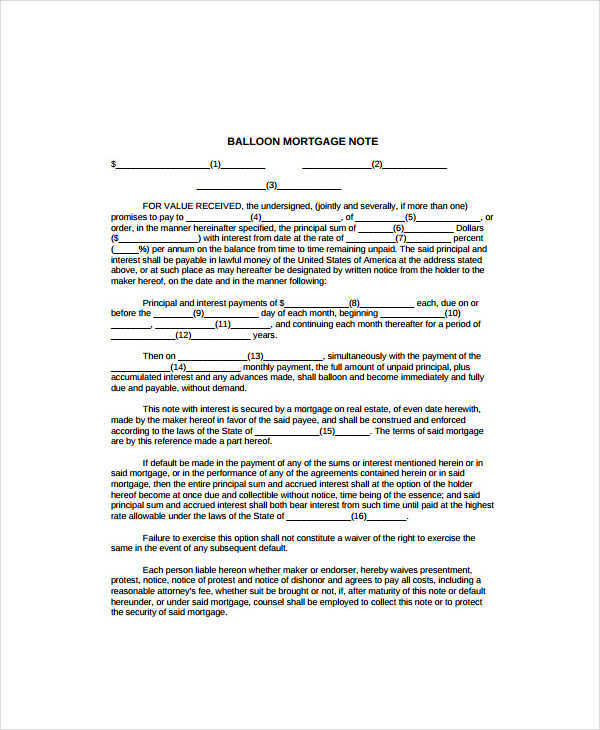 A mortgage note is a type of progress note which serves as the borrower’s pledge to secure the loan through a collateral, in this case, the property or house purchased using the loan. 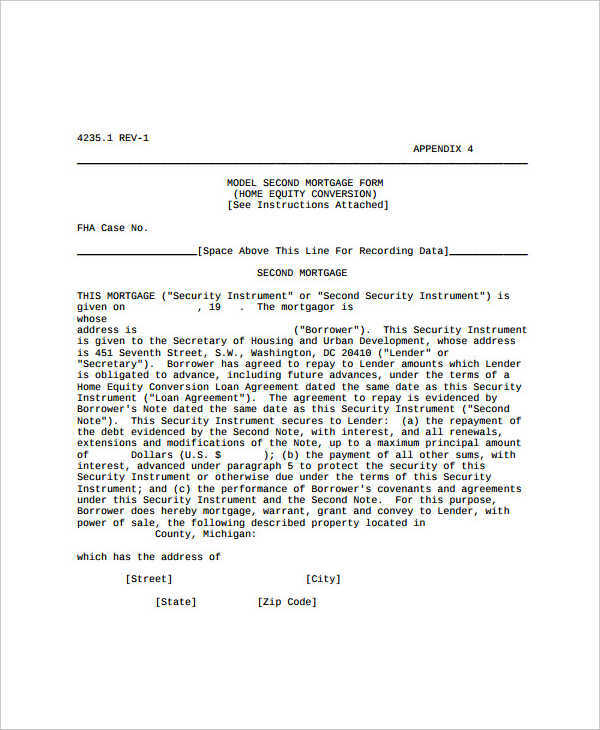 A mortgage note usually states the borrower’s name, address of the property secured as collateral, and detailed property description. 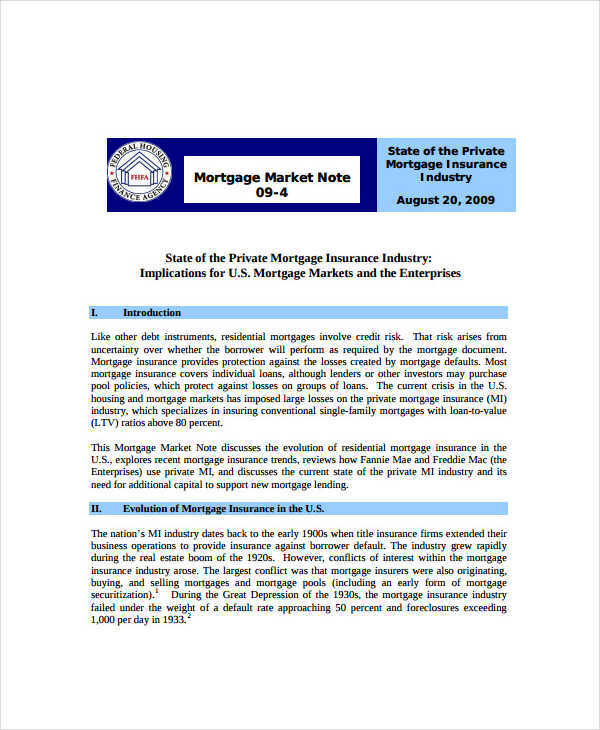 A mortgage note in pdf serves to authorize the lending company of claiming the property being used as a collateral in the instance that the borrower fails to meet the set conditions, or fails to repay the loan during the set time frame. When this happens, the lending company may accelerate the debt which usually means the lender adjusts the due date at a sooner date or demands the borrower to pay the amount in full at a set date. The lender may also seize the property and sell it, considering the earnings as payment for the rest of the debt. If, however, the borrower meets all the set conditions and has fully paid the loan, the lending company may issue a release document or a mortgage release note, meaning your property has been released as collateral. The terms mortgage notes and release notes are often used interchangeably, and sometimes used to mean the same thing. 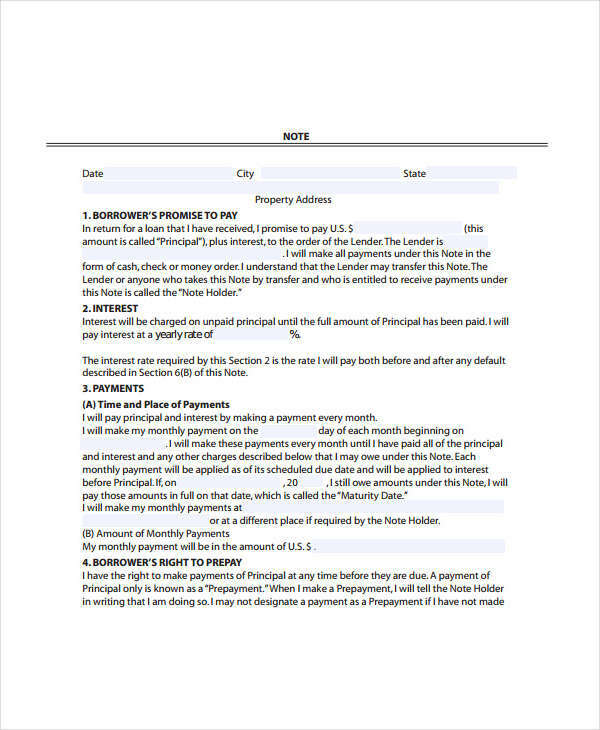 Mortgage notes and promissory notes, however, differ from each other, though not entirely. Both documents are, in most cases, issued upon processing a loan intended to purchase a new property or house. Promissory notes are the ones signed by the borrower containing the promise of repaying the borrowed amount under certain conditions. They are usually considered as the contractual agreement of a mortgage. A promissory blank note usually includes the terms of the loan, including the total amount borrowed, rate of interest, payment due, manner of payment and any other terms of repayment. It also states the fact that the borrower’s property shall be seized by the lending company if the borrower stops or fails to pay the debt. 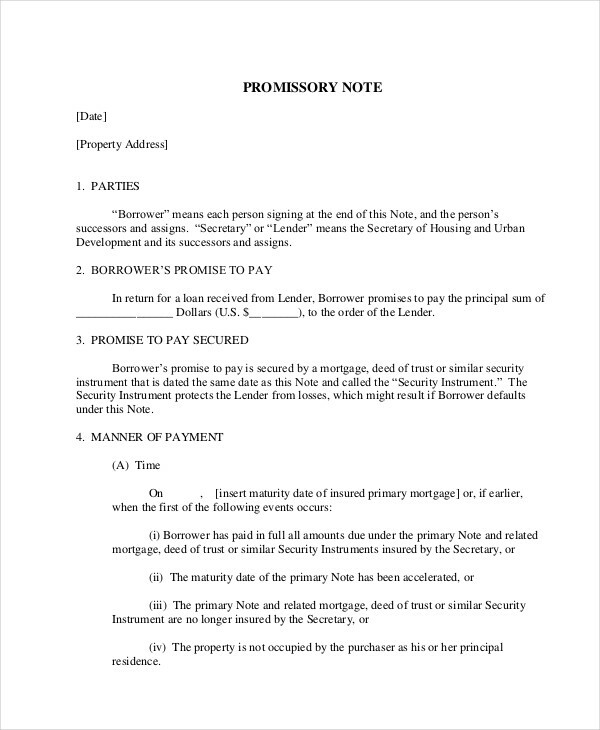 Mortgage note template simply ensure the security of the mortgage and will be the one at work the moment the borrower fails to follow the agreement written in the promissory note.